BeeCOS Business Email Marketing Manager allows you to send visual (html) or plain text e-newsletters to any number of email lists with just a few clicks. This module provides industry leading email communications & list management to your business or organisation. You can establish any number of email lists and send different content to each of these lists in a single click. Differentiation of email content greatly improves the relevance of your email marketing. Imagine the improved relevance of a customer targeted e-newsletter, a staff targeted e-newsletter, or a business partner targeted e-newsletter. Image and visual communication is very important in today's world. If you're email strategies are a little lack luster then this is a module you must look at. If you improve the professionalism of your communications you will improve the effectiveness of the message and the outcomes it will create. 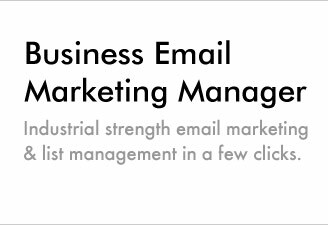 The opportunity to lead the way through targeted communications is now at your fingertips with Business Email Marketing Manager. 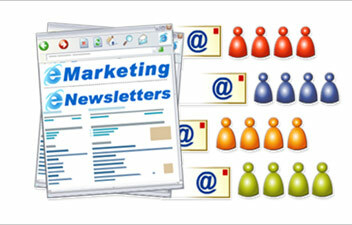 You can easily send your e-newsletter to lists, which contain thousands of readers in a single click. Simplicity and efficiency gives you more time to focus on your marketing strategies.